B.A.C. - Greenliving Costa Tropical S.L. B.A.C. - ORGANIC BLOOM 250 ML. B.A.C. - ORGANIC GROW 250 ML. B.A.C. - ORGANIC BLOOM 0.5 L.
B.A.C. - ORGANIC GROW 0.5 L.
B.A.C. - PH UP 1 L.
B.A.C. - PH DOWN 1L. B.A.C. - 1 COMPONENT GROW 1L. B.A.C. - 1 COMPONENT BLOOM 1L. B.A.C. 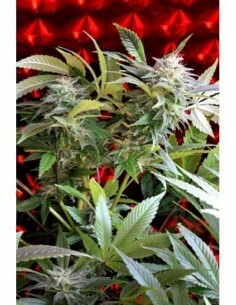 - HYDRO GROW A&B 1L. B.A.C. - TOP FLOWER BLOOM A&B 1L. B.A.C. - BIO CLONE 100ML. B.A.C. - ORGANIC GROW 1 L.
B.A.C. - ORGANIC BLOOM 1 L.
BIO PELLETS 5 KG B.A.C. B.A.C. - COCO GROW A&B 1L. B.A.C. - COCO BLOOM A&B 1L.